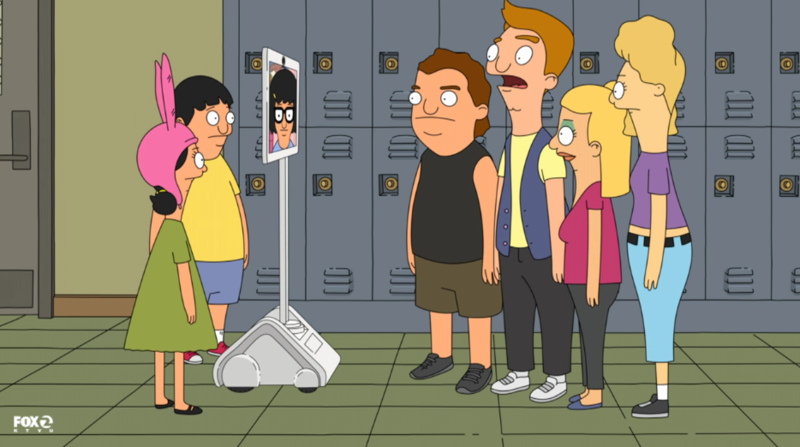 A telepresence device was featured on the latest episode of Bob's Burgers! In this episode, titled "Ex Mach Tina," Tina attends school via robot due to limited mobility from a sprained ankle. 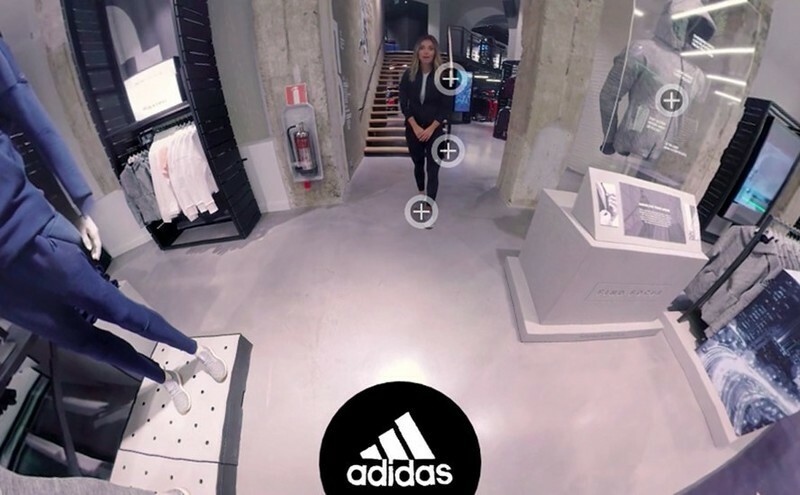 Adidas has opened its first 360° concept store in Europe to create a new, one-of-a-kind experience for customers. This initial store, based in Stockholm, Sweden, can be toured entirely remotely via Double Robotics' 360 Camera Dolly. Although remote, customers can have the same experience as being there in person, thanks to the ability to view the store in complete 360 video. Check out their website at http://www.360conceptstore.com/. Video courtesy of ParaPix. Visit them online at http://www.parapix.se/. Double Robotics has reached an incredible point of growth. Over the past four years, we’ve seen remote workers, telecommuters, educators and IT leaders around the world recognize the the unique value of telepresence robotics and the critical role it plays in connecting offices, remote workers, and students around the world. We’re thrilled to announce that Double Robotics has reached $20 million in sales of our internationally-acclaimed telepresence robot, Double. After graduating from Y Combinator in the summer of 2012, Double Robotics raised a seed round of under $2 million. We have not needed to raise another round since then. While still a pre-Series A hardware startup, this is a great feat. Our mission has always been to enable all types of remote experiences, and we have significantly delivered on this vision. We believe that, by connecting remote employees to their home offices or remote students to the classroom, we are creating a more open and flexible work space where people feel more connected to their communities and colleagues. We’ve grown a lot in the past year, with the recent launches of Double 2 and Camera Kit. Now, with Fleet Management, the Double Robotics experience is the best it’s ever been. We’re excited to be at the forefront of the growing telepresence industry and we would like to thank our customers for their continued support of Double Robotics. We’re thrilled about what’s to come. The 360 Camera Dolly and Universal 360 Camera Mount by Double Robotics offers a unique way to capture special occasions of all kind, such as weddings, birthdays and graduations. Recently, a couple in Japan filmed their wedding ceremony using the 360 Camera Dolly and will forever have their momentous day captured in full 360 video. To learn more about Double Robotics' 360 Camera Dolly, visit our website online at www.doublerobotics.com. 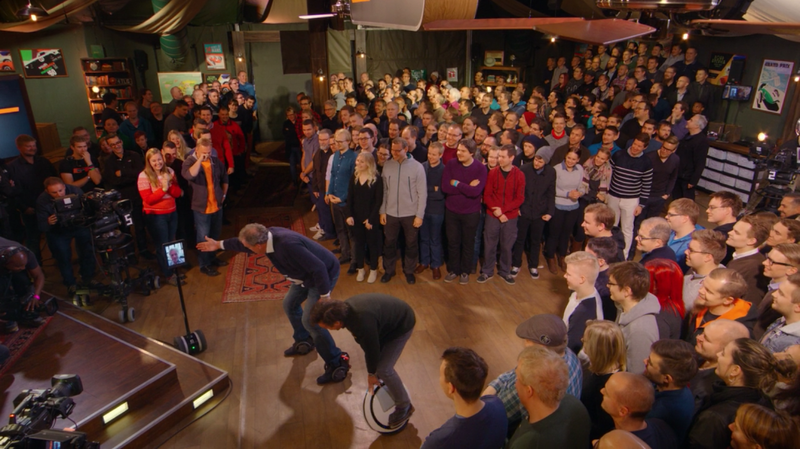 Double Robotics featured on The Grand Tour! Double Robotics was featured on Season 1, Episode 6 of Amazon's original series, The Grand Tour! From the guys who brought you the UK's famed television show Top Gear, The Grand Tour is a show about adventure and excitement, where hosts Jeremy Clarkson, Richard Hammond and James May travel the world showcasing innovation in automotive transportation and motoring. In this latest episode, titled "Happy Finnish Christmas," which aired on December 22, 2016, Jeremy, Richard and James traveled to Finland where they presented fun Christmas gifts for their car fans -- including Double! The Grand Tour is available to view for Amazon Prime members. AF Group is one of the country's largest workers' compensation insurance firms, with multiple offices nationwide and a large number of remote employees who telecommute, or travel often, to the company's headquarters in Lansing, Michigan. While using traditional video conferencing tools has been helpful, the management team at AF Group realized there's oftentimes a need for remote workers to have greater presence in the office. They came across Double Robotics and, in just nine months, have saved the company $30,000 in travel costs. Double gives remote employees of AF Group a greater sense of being there when they're not -- without having to spend the money on traditional travel. Watch their story below. Maeve is a second-grader at P.S. 158 in New York City. She suffers from muscular atrophy, which severely hinders her ability to move. Because of her condition, Maeve isn't always able to attend school in person. Thanks to help from the New York City Department of Education and Double Robotics, Maeve has been using Double for over a year and never misses a beat in school. We're honored to be a part of Maeve's story and provide a way for her to attend school. The power of telepresence is limitless! 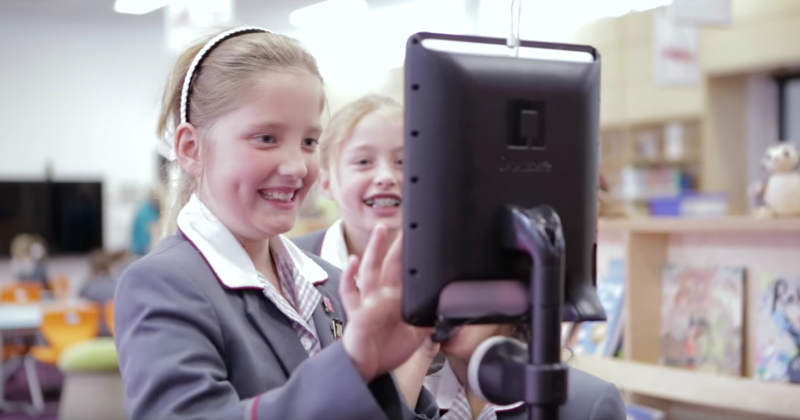 Lindamood-Bell Learning Processes, a leading education services agency that provides professional development and best practices for teachers, has deployed 70 telepresence robots from Double Robotics in the largest deployment of Double Robotics to date. Traditionally, a Lindamood-Bell staff member would travel onsite to a school and embed him/herself in the community by living there full-time, from anywhere between six months to a few years. Now, rather than sending a person, Lindamood-Bell sends a Double, allowing staff members to visit schools anywhere in the world, from Colorado to Alaska to Honduras, without having to spend the time or money associated with physical travel. 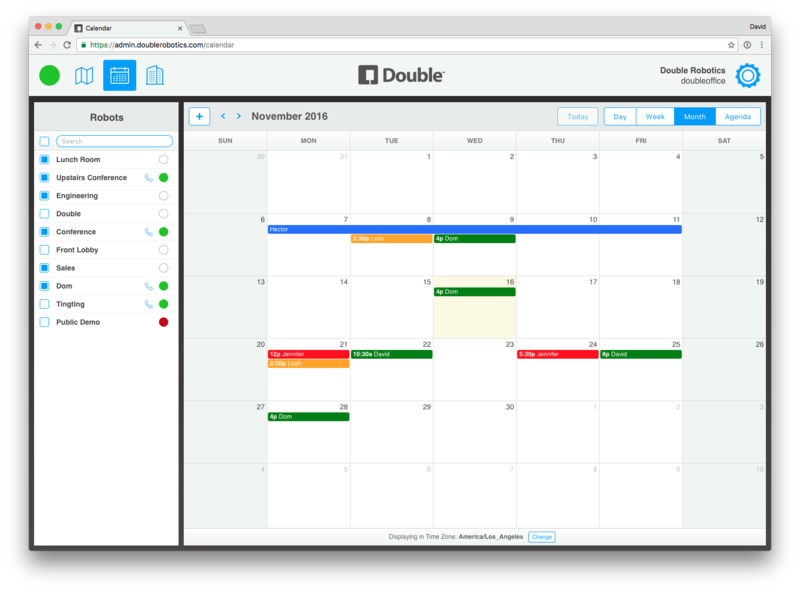 Double allows Lindamood-Bell to provide the same high-quality instruction in a more efficient and cost-effective way. With Double, Lindamood-Bell employees to have greater flexibility to visit multiple sites per day or per week, all while saving the school thousands of dollars per year. 2016 is turning out to be one of the greatest years for healthcare innovation ever, with advancements in medicinal technologies, programming, and changes in how human services are controlled, both from a convenience and money related point of view. Traditionally, an individual is characterized as visually impaired when the individual's focal vision has debased to 20/200, or the individual has lost periphery vision with the object that he sees less than 20 degrees outside of focal vision. Typical vision is 20/20, and individuals can, as a rule, see up to 90 degrees with their periphery vision. An expected 1.1 million individuals in the United States alone are considered visually impaired. This has prompted organizations to build up an advanced and exquisite arrangement planned to reestablish vision for individuals who lost their sight because of degenerative retinal sicknesses. The scaled down Nano Retina gadget, the NR600 Implant, replaces the usefulness of the harmed photoreceptor cells and makes the electrical stimulus required to initiate the stability of the retinal cells. NR600 is comprised of two segments: a small-scale implantable chip and an arrangement of eyeglasses worn by the patient. Together, these two technologies can allow an individual to see again. Hospitals are, ironically enough, known for their bacteria and infection filled environments. The National Center for Biotechnology Information (NCBI) has built an innovation utilizing noticeable light that persistently purifies the environment and reinforces your present disease aversion endeavors. The 405nm transmitted from this piece of technology, reflects off of dividers and surfaces, entering destructive small scale life forms. The light targets happening atoms called porphyrins that exist inside microscopic organisms. The light is consumed, and the energized atoms produce Reactive Oxygen Species (ROS) inside the cell. 405nm makes a synthetic response inside the cell, like the impacts of decay. The Reactive Oxygen Species destroys the microscopic organisms, keeping them from re-populating the space. While all of the above-mentioned advancements require some physical presence, the following are even more high-tech because they allow medical progression even without a healthcare practitioner being present in person. 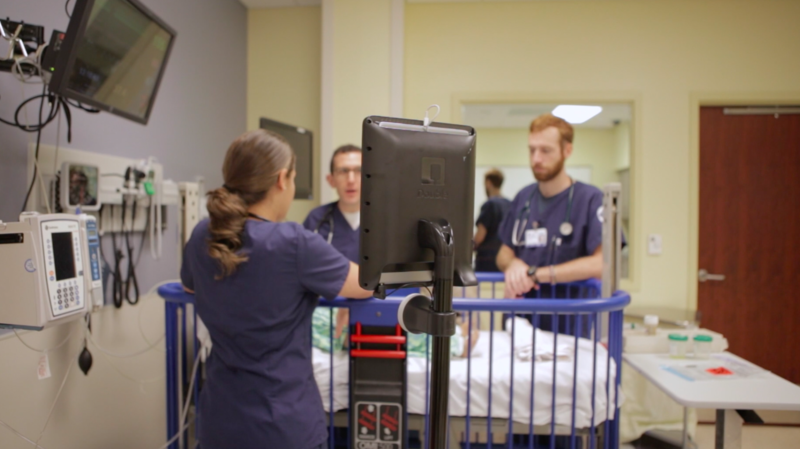 Telepresence robots, such as Double, made by Burlingame, Calif.-based Double Robotics, empowers officials, doctors, experts, patients, and suppliers to meet, discuss, and make choices even while being hundreds or thousands of miles away from one another. Using telepresence decreases the requirement for incessant travel, empowering individuals to perform more in the same measure of time – without the anxiety and fatigue connected with travel. With Double, anyone can quite literally be somewhere that they couldn't otherwise be in person, and the connection is seamless. Healthcare officials can also train groups quicker, receive new conventions more productively, and assist in conveying enhanced social insurance scope to satellite and remote areas. A study from Harvard University effectively utilized low-controlled lasers to actuate immature microorganisms and animate the development of teeth in rats and human dental tissue in a lab. Stem cells are not like ordinary cells. They have the remarkable capacity to duplicate and change into a wide range of sorts of cells in the body. They repair tissues by partitioning consistently either as another undifferentiated organism or as a cell with a more particular occupation, for example, a red platelet, a skin cell, or a muscle cell. With tooth re-growth, dentures and dental inserts may soon turn into a relic of times gone by. Undifferentiated organism examination is making it conceivable to regrow your missing teeth! This is a truly necessary medicinal headway, particularly considering that by the age of 74, at least 26% of grown-ups have lost the greater part of their permanent teeth. All of these advancements show how health systems are starting to embrace technological assistance in certain things which makes for a stronger framework and a massive overall improvement in our healthcare system as well. Wowl, a creative video production studio specializing in content creation for virtual reality, tested Double Robotics' all-new 360 Camera Dolly to capture beautiful, lake-side 360 video. The studio, based in Switzerland, has worked with companies such as the Swiss Tech Association, Autodesk and Swatch, to create innovate VR concepts and videos. Double Robotics' 360 Camera Dolly is the latest tool the studio has employed to create stunning visuals for virtual reality and 360 video. Video courtesy of Wowl (http://www.wowl.ch/).